Today I was once again reminded that they grow up too fast. I was unpacking a forgotten box, and Miss SK was helping. She pulled out a pencil and a random piece of paper. 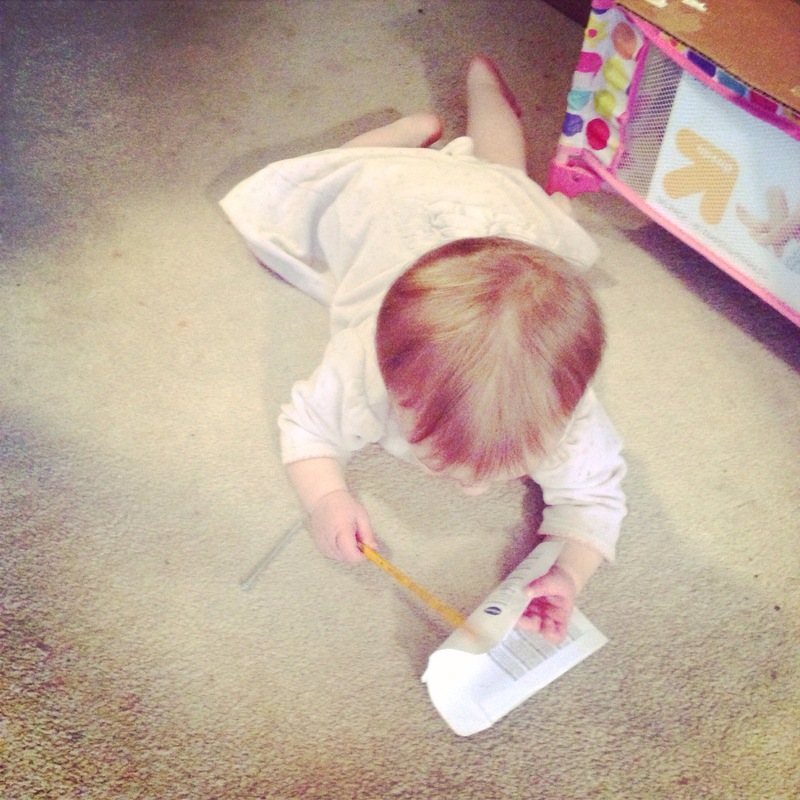 She then plopped down in the floor to scribble for a bit.